Statistics show that approximately fifty percent of all marriages end in divorce. In addition, hundreds of thousands of children are born each year to parents who are not married. We all know someone who has been divorced and/or fought for custody of their children. 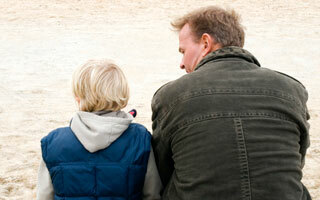 We have all heard the stories of nasty fights over visitation and custody and the court battles that ensue. In the process, relationships are damaged and sometimes destroyed, large amounts of money are spent, precious time is wasted and the children's best interests are not ultimately met. We asked ourselves — "Is there a better way to make sure the best interests of our children are met while preserving relationships and focusing on the future?" The answer is YES — Collaborative Law! We heard about Stu Webb, a Minneapolis lawyer, who asked the question, "What would happen if lawyers focused their talents and attention on settlement instead of trial". Through our enthusiasm regarding the concept, the Northwest Iowa Collaborative Law Professionals practice group was created. The practice group's formation was based upon the beliefs that the public wanted more family-focused divorces/separations and, that a group of like-minded attorneys could make a positive difference in those families' lives, as they went through the process. This approach to conflict resolution was created in 1990 by a Minnesota family lawyer Stuart Webb, who saw that traditional litigation was not always helpful to parties and their families, and often was damaging. A commitment to respect both parties' goals. First party's attorney sends letter and information about the collaborative approach and the list of attorneys to the other party.